Rebalance IRA is a robo-advisor that leverages technology to build customized, low-cost, globally diversified portfolios that match client risk profiles. The digital money manager claims to save clients an average 68% on annual fees. Some studies have shown that a fee reduction of just 1% annually can translate to as much as half a million extra dollars in retirement for millennials, so chopping fees by approximately two thirds is a big deal to your nest-egg over the long term. What most advisors don’t tell you is that seemingly small annual mutual fund fees of 1.27% can cost you as much as 30% of your investment return over 10 years. Rebalance IRA keeps management fees in check by charging just 0.50% annually and average expense ratios are approximately 0.20%. Compared to the total fees paid to traditional financial advisors, which are north of 1%, in addition to over 1% in expense ratios frequently, Rebalance IRA is a deal on cost. But how does it compare on the dimensions of investment strategy, performance, and account minimums? Rebalance IRA relies on Modern Portfolio Theory to build portfolios designed to match market returns that correspond to investors’ risk profiles. The investment methodology of Rebalance IRA is based on a process called passive investing. The theory behind this investment approach, Modern Portfolio Theory, resulted in Nobel prizes for its researchers, and is used extensively by most robo-advisors and traditional financial advisors. While the nitty gritty of the theory is complex, the idea is simple: build portfolios that maximize returns for given levels of risk, and try to match the returns of the market. This might seem intuitive but when Jack Bogle, who founded the Vanguard Group, first introduced the concept of low-fee index funds to achieve these objectives, he was mocked by so-called Wall Street “experts” who believed that beating the market through stock picking was a better way to invest. Over time, Bogle was proven right. Beating the market is exceptionally difficult, and few investors achieve the goal. For those reasons, Rebalance IRA builds globally diversified portfolios that feature low-cost index funds. While the average mutual fund has an expense ratio of 1.27% according to Rebalance IRA, the cost of the average ETF in client portfolios is just 0.20%. Rebalance IRA backtested simulations using a globally diversified portfolio of low-cost index funds show superior performance when compared against the S&P 500 over the testing period. The investment philosophy practiced by Rebalance IRA has led to stellar returns in backtested simulations. By using globally diversified low-cost ETF funds, the annual return at Rebalance IRA was 8.3% between 2000-2010 compared to just 1.4% for the S&P 500. In the simulation, ETF dividends were reinvested and portfolio rebalancing was practiced, so capital gains from rebalancing were reinvested. The ETF and benchmark indices used in the simulations included a diversified list of ETFs with global exposure across numerous asset classes. Rebalance IRA charges 0.50% annually in management fees and has an average expense ratio of 0.20%. When you compare fees of financial advisors and robo-advisors, it is easy to look only at management fees but your real focus should be on total fees. A traditional financial advisor may charge over 1% in management fees but when you dig a little deeper you may find you are paying another 1% in expense ratios, or even more sometimes. Combine management fees, expense ratios charges, transaction costs and other hidden fees, and you can quickly find your retirement account gets nickeled and dimed so much that, over the long-term, the costs add up to tens or even hundreds of thousands of dollars. At Rebalance IRA, fees are transparent so you know precisely how much you are paying. Total fees of 0.70% represent a significantly lower number than many clients pay traditional financial advisors, so Rebalance IRA lives up to its claim to deliver a low-cost diversified portfolio that matches your risk profile and financial goals. The one blot on the copybook at Rebalance IRA is the high account minimum. You need $100,000 to get started investing at Rebalance IRA. If you meet the threshold, the company has a lot to offer, but compared to other robo-advisors, it is at the higher end of the range. 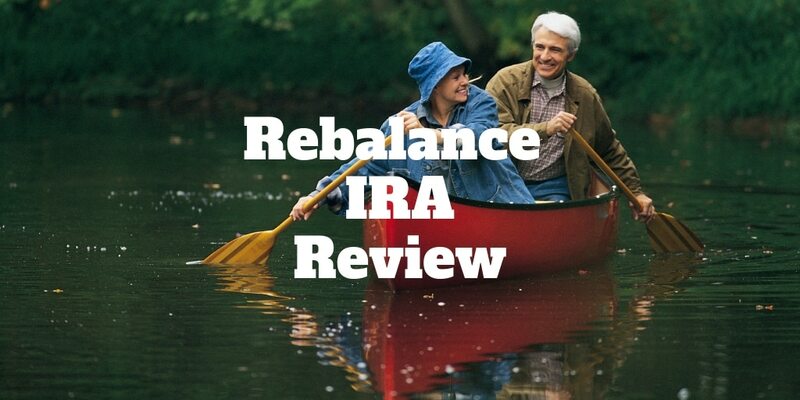 Rebalance IRA analyzes your pre-existing portfolio, allocates your assets to a new portfolio, monitors it regularly using custom software and live human advisors and regularly rebalances your portfolio. When you get started at Rebalance IRA, you will be guided through a 4-step process: Advise, Transform, Grow, Relax. 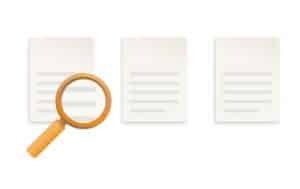 The first step is to examine your existing holdings, including brokerage statements, employer-held 401(k) accounts, and any IRA accounts you may have rolled over. All your assets are examined with an eye on how they align with your retirement objectives. A consultant will listen to you to better understand your risk tolerance, retirement goals and life aspirations. With that context, your financial picture will be analyzed to assess where improvements can be made. 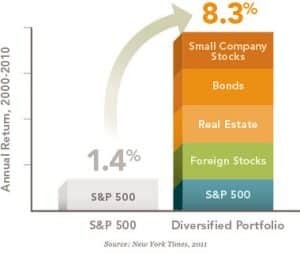 Your holdings are measured to see how diversified they are compared to benchmarks. And a comprehensive IRA checklist is used to compare your current holdings so you get the most from your retirement accounts. From there, Rebalance IRA will build you a custom investment portfolio specifically designed to ensure you reach your retirement goals. Each portfolio is made up of carefully selected allocations and index funds, featuring a global selection of bonds and stocks. After your accounts have been reviewed, you will transfer your assets to your new Rebalance IRA account. The custodian of your assets will be Schwab or Fidelity, who will send you monthly account statements. You can choose the custodian you prefer and both have stellar industry reputations. To limit market risk during the transfer process, Rebalance IRA uses Simultrade technology to transfer your assets into your new portfolio almost immediately. Once your assets have been transferred to and invested in your new portfolio, custom software tracks your investments daily. A core focus at Rebalance IRA is asset allocation because some studies show that 90% of the difference in returns among investors stems from how assets are allocated. A human advisor also looks over your portfolio to make sure the allocation is not “out of whack” compared to where it should be. One method used to make sure you are on track relative to your original goal is rebalancing. You can view portfolio rebalancing as a “tune up” where asset allocations that deviate from your original plan are brought back into line. Anytime your portfolio is rebalanced you will be notified so you don’t have to worry about when or why changes are being made. Passive investing is the core philosophy practiced by Rebalance IRA and, in line with this approach, the goal of the company is to give you the comfort of knowing that your assets are invested for the long-term and designed to match the returns of the market that correspond to your risk profile. Rebalance IRA has a world class team on its investment committee, including Princeton University’s Professor Burton Malkiel. The investment committee is made up of Professor Burton G. Malkiel, Dr. Charles D. Ellis and Jay Vivian. Professor Malkiel is a Senior Economist at Princeton University and author of the renowned book A Random Walk Down Wall Street. Has has a B.A. in economics and an M.B.A. from Harvard plus a ph.D from Princeton University. Dr. Charles Ellis is a Board member of The Vanguard Group and has taught at both Harvard Business School and Yale. Jay Vivian is another luminary who formerly oversaw over $100 billion in IBM investment funds. Rebalance IRA earns brownie points for building customized portfolios that are tailored to your unique risk profile, financial goals and life aspirations. While the company uses custom software, human oversight is included as part of your portfolio monitoring to make sure your asset allocation is on track with your original plan. Management fees of 0.50% are higher than some robo-advisors charge for pure robo-advice but, when factoring in the human component you benefit from at Rebalance IRA, fees are in line with industry norms. A blot on the copybook at Rebalance IRA is the high account minimum of $100,000 which will be a hurdle too high for some investors who might otherwise benefit from a customized, low-cost, globally diversified portfolio. If you can meet the threshold and want your existing retirement accounts examined by human financial experts and then automatically invested and rebalanced with human oversight, Rebalance IRA is a top notch robo-advisor worthy of your consideration. ‹ Is TD Ameritrade The Best Online Stock Broker?